Kudzu, whose botanical name is Pueraria lobata, is a member of the Fabaceae legume family. It is also known as Ge-gen, kudzu vine, mile-a-minute vine, foot-a-night vine, and the vine-that-ate-the-South. The latter names refer to this vine’s property of rapid growth. This perennial trails, climbs, and winds its rough vines around tree poles and anything else it touches. It grows in shady areas, mountain areas, fields, roadsides and forests in China, Japan, and the southern United States, more so in the latter because when imported, its native insects did not tag along. 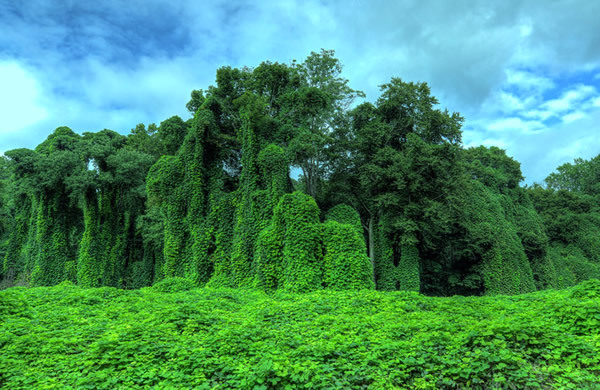 Kudzu was first seen in the United States as an ornamental plant at the 1876 Philadelphia Centennial Exposition. During the Depression, the United States Department of Agriculture (USDA) imported kudzu for erosion control. In 1972, the USDA classified kudzu as a weed because the plant can reach 60 ft (18.29 m) in a single growing season. In June and July, the vines sport purple flowers and in autumn, the leaves shed. The kudzu root, which can grow to the size of a human being, has a history of use in Chinese medicine. Kudzu contains daidzein, an isoflavone, and diadzin and puerarin, isoflavone glycosides. The isoflavone amount can range from 1.77–12.08%, based on kudzu’s growing conditions. The highest isoflavone is puerarin with diadzin and daidzein, next in isoflavone amounts. A study at the University of Michigan compared legumes for their sources of the isoflavones of genistein and daidzein, The results showed the kudzu root as a good nutritional source of those two components. The root also supports bacteria that grab nitrogen from the atmosphere and put it in the soil. This factor may explain kudzu’s rapid growth and its success in feeding Angora goats raised by Tuskegee University researcher Dr. Errol G. Rhoden. Traditional Chinese medicine has used kudzu, whose Chinese name is ge gan, for centuries. Kudzu’s medicinal uses were first recorded in Shen Nong’s herbal text, published around A.D. 100. Chinese medicine recommends kudzu for what it calls wei, or superficial syndrome, referring to a mild disease that appears just below the body’s surface and is accompanied by a fever. Chinese medicine also indicates using kudzu for thirst, headaches (migraine and other types of headaches), neck pain from hypertension, angina, allergies, diarrhea, and speeding the progression of measles in children. In general, kudzu is used as a demulcent, or medication given to soothe irritated mucous membranes. One alternative practitioner has stated that because kudzu improves the body’s flow of blood and levels of oxygen and opens heart vessels, it might help the cardiovascular system. Another researcher, James Duke, refers to a Chinese clinical study that showed that kudzu can benefit angina sufferers. For a period of 1–6 months, 71 participants took 10–15 gm of kudzu root extract. The results indicated that 29 people had significant improvement, 20 had an intermediary amount of improvement, and the remaining 22 showed no improvement or only a slight improvement. Duke cites another Chinese study showing that kudzu can lower blood pressure. For a period of 2–8 weeks, 52 people drank about 8 tsp of kudzu root in a tea. Seventeen people had their blood pressure decrease substantially, while the other 30 had some relief from hypertension. It is the Chinese medicinal use of kudzu in treating alcoholism, however, that is the focus of many studies on kudzu. In 1989, two associate research professors in the psychiatry department at the University of North Carolina tested rats for their alcohol cravings. In 1991 an organic chemist tested a tea containing seven herbs including kudzu on drunken rats. The rats had been injected with alcohol; when they ingested the herbal tea, their motor movements became more coordinated. In further studies conducted in 1992, the rats were allowed to drink alcohol for an hour each day. The rats gulped down an enormous amount of alcohol; however, after a week, when the herbal mixture containing kudzu was given to them 15 minutes before their happy hour, they drank much less alcohol. In another study, the rats were allowed to drink alcohol for the first 24 hours, then deprived for the next 24 hours. On day three, the rats’ alcohol intake increased from 20% to 30%. Once injected with the herbal mixture, however, the rats either drank a normal or less than normal amount. A 1995 study was also conducted at Harvard University using hamsters, because hamsters naturally choose alcohol over water. Thirty hamsters were given either daidzein, an active ingredient in kudzu; or disulfiram (Antabuse), a compound that stops ethanol craving in humans. Nine more hamsters were allowed to drink as much alcohol as they wanted without anything added. Hamsters receiving daidzein, dropped their alcohol intake by 70% and those receiving disulfiram had 80% less alcohol intake. The researchers concluded that daidzein, takes a less toxic metabolic route than disulfiram. A double-blind random clinical study using human subjects was conducted at the Veterans’Affairs Medical Center in Prescott, Arizona. Thirty-eight middle-aged men suffering from chronic alcoholism were given either 1.2 g of kudzu root extract (21 men) or 1.2 g of a placebo (17 men) twice daily for a month. The results of this test showed no significant difference in sobriety or alcohol cravings in either group. The problems of manufacturing kudzu root as a drug to treat alcoholism and other disorders were outlined in an article on traditional Chinese medicine by Dr. James Zhou. Zhou says that herbs lose their natural balance when manufacturers purify, refine, and treat them with chemicals. The daidzein, in kudzu could treat alcoholism, but the purification process destroys the isoflavone balance. 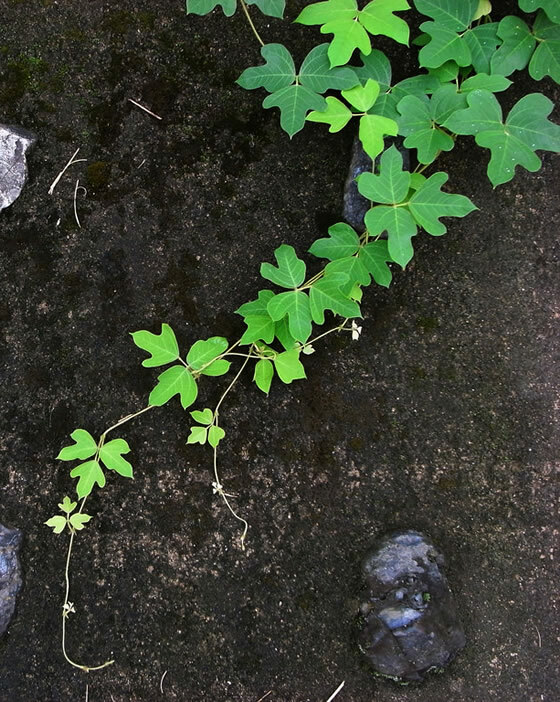 Because it is the isoflavone puerarin in kudzu that stops cardiovascular damage impairment and may prevent an alcoholic side effect, liver damage, Zhou believes that the herb should be given in its natural state. For angina pectoris, practitioners of traditional Chinese medicine recommend 30–120 mg of standardized tablets of kudzu root two to three times daily. Ten mg of a standardized tablet equals 1.5 g of the pure root. Tinctures of 1–2 ml three to five times daily are recommended in place of tablets. To help lower cravings for alcohol, the recommended dosage is 3–5 g of kudzu root three times daily or 3–4 ml of tincture three times daily. The All-In-One-Guide to Natural Remedies and Supplements recommends drinking kudzu tea to combat alcoholism. An alternative form of treatment involves taking 1500 mg supplements or cubes before or after the alcohol. The 1500 mg can be divided equally into three daily doses. 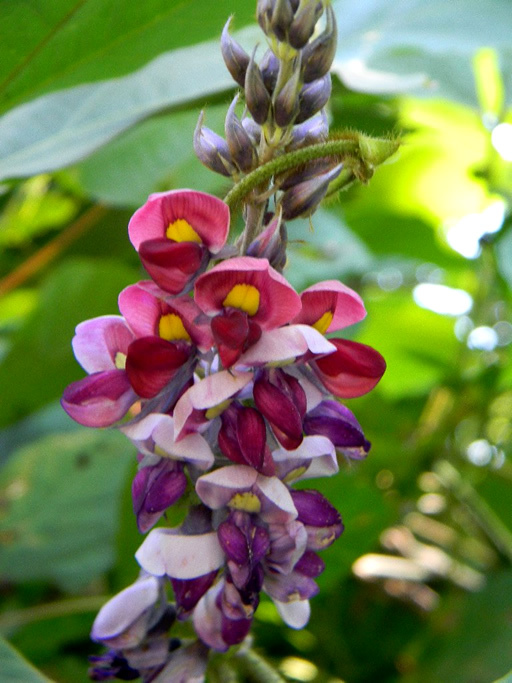 Kudzu also comes in supplements combined with St. John’s wort to treat the symptoms of alcoholism. One capsule is taken with each meal on a daily basis. Kudzu leaves can also be used in cooking, for example in quiches and as a deep-fried dish. Kudzu should not be taken by pregnant and lactating women. 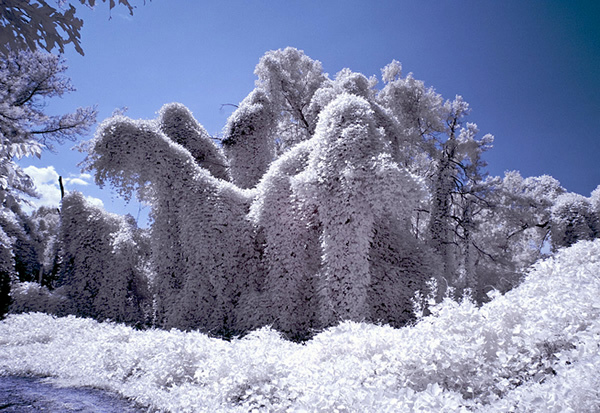 In traditional Chinese practice, people who sweat too much or have cold in their stomach should avoid kudzu because it is given for “wind-heat” illnesses. As of 2000, no toxic side effects or damage to the liver have been reported from kudzu. Kudzu should not be taken in conjunction with prescription drugs. As with all medicinal supplements, it is best to check with a health care provider before taking kudzu.